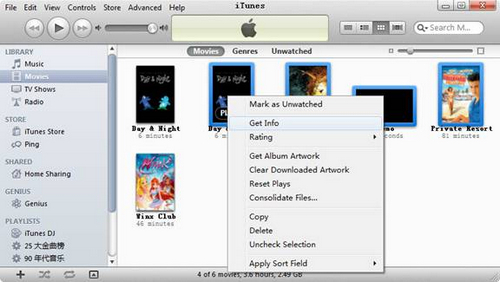 iTunes DRM Remove Tool-How to Sync iTunes Video to HP TouchPad for Playing? Home » How to Sync iTunes Video to HP TouchPad for Playing? How to Sync iTunes Video to HP TouchPad for Playing? HP released its first tablet PC product in 2011 which is called TouchPad and runs WebOS instead of the most popular Android OS. This brand new tablet is defined to attack the low-priced segments of the market with a relatively low price. HP TouchPad comes with a 9.7" XGA capacitive, multi-touch screen with a lively 18-bit colour, 1024x768 resolution display. So it's suitable to play movies on it. However, HP TouchPad can't directly play iTunes m4v videos that you purchased from iTunes or other video purchasing resources. These videos have DRM protection that you are not allowed to play them on other devices. If you want to sync iTunes video to HP TouchPad for playing, you have to remove the DRM protection firstly, and then convert iTunes M4V to HP TouchPad compatible format. 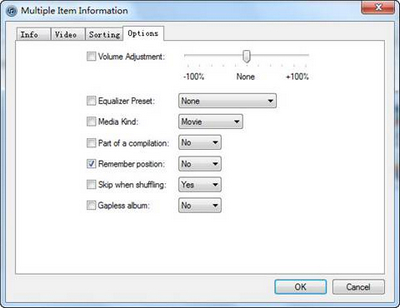 You are recommended to use a powerful iTunes to HP TouchPad converter — Pavtube ChewTune. With simple steps, you can not only remove DRM protection legally from iTunes videos, but also convert iTunes M4V to HP TouchPad friendly videos. Below guide will tell you how to transcode iTunes video to HP TouchPad. 1. Set up iTunes, and switch to “Movies” under LIBRARY. 2. Choose the movies you want to convert, then right click and select “Get Info”. Now you can start to transcode iTunes video to HP TouchPad with Pavtube ChewTune. Step 1: Load files to the program. You can directly drag and drop the iTunes files to Pavtube iTunes DRM remove tool or simply load iTunes files by clicking "Add Video". To transcode iTunes video to HP TouchPad, you should choose a compatible format for HP TouchPad playing. 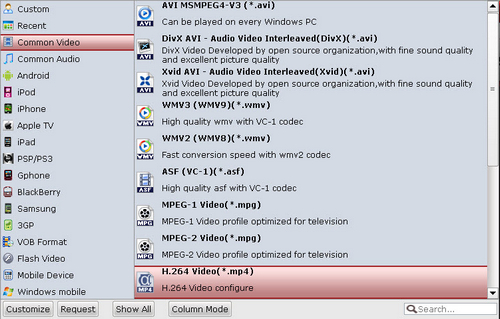 You are recommended to click the format bar and choose Common Video >> H.264 Video (*.mp4). Step 3: Set the profile settings. The default settings are not very compatible with the HP TouchPad, so you need to change the parameters by yourself, you can click the settings button to make it. Below are recommended settings. Step 4: Convert iTunes to HP TouchPad MP4 video. After the profile settings have been changed, you need click the convert button to start the conversion from iTunes to HP TouchPad MP4 video with Pavtube iTunes to HP TouchPad converter. After that, you can transfer the converted MP4 videos to HP TouchPad for enjoying, so you are able to play iTunes M4V on HP TouchPad with ease.